The flu is a common and extremely contagious respiratory infection that affects up to 1 billion people each year. It is normally caused by a strain of the influenza virus and it is almost impossible to build up a resistance to all forms of the infection due to its ever evolving nature. 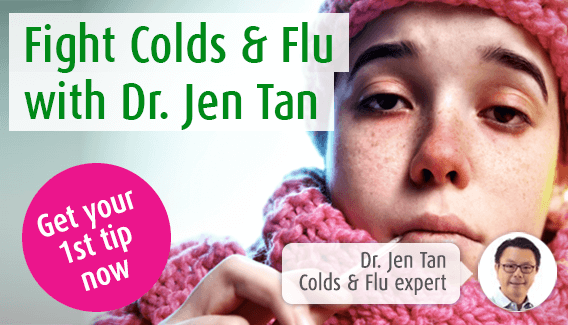 Here at A.Vogel Talks Flu, our immune system expert Dr. Jen Ten will be taking a look at the symptoms and causes of the flu, as well as giving helpful advice about home and herbal remedies to combat the illness. You can also ask Dr. Tan any question about flu using our Q&A service. Follow the link for more information about flu treatments. Follow the link to find out more about preventing the flu. Post flu recovery tipsWhen to see a doctor about your cold or fluHas your child caught the back-to-school bug?Are your flu symptoms getting worse at night?Why don&#39;t women get man flu?Flu symptoms after exercisingHandshakes get the bump to prevent colds and fluSymptoms of man fluWhat is the difference between a cold and flu? Can you catch flu from not washing your hands after going to the toilet? I think I have the flu, but why does the inside of my nose feel like its burning? I have been feeling really unwell with flu symptoms for over a week now and still not showing any signs of recovery. What would you suggest?